MLM means Multi-level Marketing. 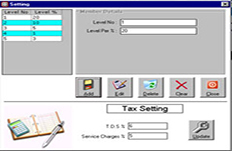 This software designed for network marketing and it is the way of selling goods or services through distributors. More company will generate revenue with the sale of their products. MLM is the solution to the distribution costs of the most companies because there will be no more channels between the producer and the consumer. And the most part of the benefit can be paid to the distributors.MLM business as of today, operates from 50 U.S. states and more than 100 different countries.A non-legitimate MLM will produce revenue simply and primarily by luring new customer individuals. You can view the member details such as name, address, etc. 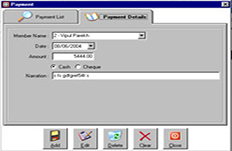 Once the member has done it’s full payment the active button is automatically checked indicating that the particular member is accepted and active. The member is allowed to view his performance, profit and other details provided by the company. Along with this the membership details like the member has been recruited by which sponsor under which plan, whether the member is a regular member or a franchise who receives extra benefits, can be viewed. Once the payment is received from the distributor. 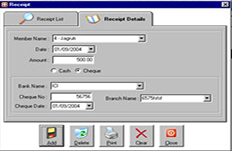 It can make payment by cash or cheque You can view the details of the payment either by receipt details or by receipt list. Receipt Details give you the deep information about the payment. Most of the companies’ memberships are valid for 1 year. The distributors who wish to continue have to renew their membership every year or as per the company rules. 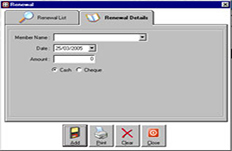 The admin can view as to when the particular distributor has to renew his or her membership. The company decides the various plans & their percentage of profit onto which the company transactions run. Later on the company may feel the need to change their plans and criteria. Later on the company may feel the need to change their plans and criteria.The rates of the government tax, change from time to time. The company can update the T.D.S. & Service charges by themselves.